Biotech micro Cerecor Inc (NASDAQ:CERC) just put out mid stage data from its nicotine withdrawal trial, and things don’t look great. The company has declined a little over 13% on the news of what is essentially an across the board miss, and management is scrambling to inform markets as to what’s next, in an attempt to divert attention away from disappointment. With this said, there is some degree of reprieve based on the fact that the trial wasn’t Cerecor’s lead indication, and that the data collected can probably be put towards the lead submission. So, what happened, and what’s next? Well, the drug is called CERC-501, and it’s part of a family of drugs called selective kappa opioid receptor (KOR) antagonists. KORs are not widely understood, but the current belief is that they play an important role in psychological stability and mood management, and in turn, that their manipulation through the use of antagonists such as CERC-501 can correct, or at least appease, mood related disorder. 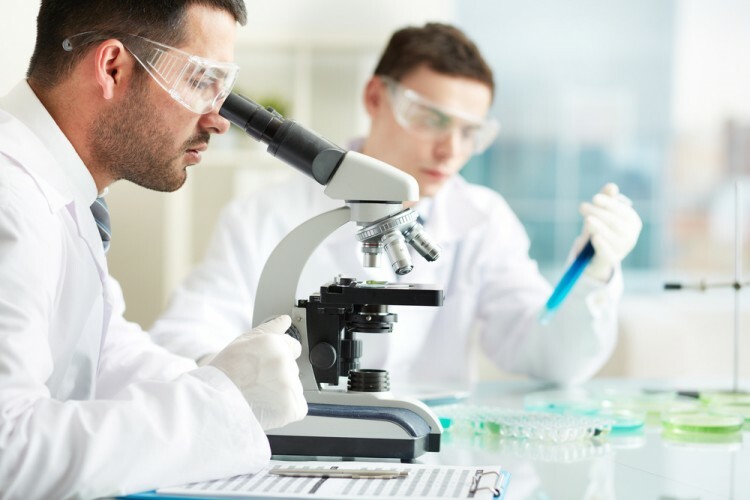 There’s plenty of preclinical and early stage evidence to suggest that this is the case, and Cerecor is one of a number of companies at this end of the biotech sector working to build on this evidence with clinical programs. This particular trial, the one that just failed, was investigating the drug’s impact on patients suffering from nicotine withdrawal. Basically, can it help a patient stop smoking by reducing mood induced cravings? Seventy-one heavy smokers took part in the trial, and were split into two groups. For eight days, the first group took the drug, and the second group took placebo. After the eight days, a short washout period took place, and then the first group switched to placebo, while the second group switched to the drug. This is a bit of an unusual trial setup, as it essentially dictates that the patient in question serves as their own control, as opposed to pitching them against a placebo patient. In mood related disorders, however, because these sorts of conditions are highly variable from patient to patient, this type of self-control setup can be more insightful than an alternative approach. Unfortunately for Cerecor Inc (NASDAQ:CERC), it turned out not to matter. The drug missed on its primary of impact on nicotine withdrawal, and patients didn’t experience a stat sig decline in their cigarette intake, or desire to smoke. The silver lining, is that adverse events were non existent (aside from a bit of diarrhea and some appetite suppression) and with a decent population size, the above mentioned seventy-one patients, there’s a solid set of safety data here that the company can use in its lead trial. Specifically, investigating the same drug as as an adjunctive treatment of Major Depressive Disorder (MDD). The drug is about to move into a phase II/III in the MDD indication, aimed specifically at patients that have demonstrated an inadequate response to standard of care (SOC) antidepressant therapies. The trial is expected to kick off at some point during the second half of next year, and will be a pivotal from a timeline perspective. These MDD trials generally wrap up relatively quickly (say, within six months to a year, and then perhaps a twelve-month extension) so we could be looking at a decent sized data set from the study as soon as early 2018. It’s this study that is really going to dictate medium term valuation for Cerecor, and as such, it’s this one we’re watching closely. The bottom line here is that, yes, it’s a shame for Cerecor Inc (NASDAQ:CERC) that the smoking indication hasn’t worked out – tobacco and tobacco cessation is a multi billion-dollar market, and it would have served as an extra string to the company’s pipeline bow – but it’s not the end of the world. There’s a decent sized data set derived from it, which the company would probably have had to collect anyway by way of a healthy patient study, and there were no adverse events of note that might impact the drug and its effects in the MDD population. Markets look to have got this one spot on as far as near term valuation impact is concerned, but we expect a closing of the gap medium term as sentiment shifts towards an MDD focus, and the implications of the above mentioned trial, as opposed to this just-released news. Note: This article is written by Mark Collins and originally published at Market Exclusive.